Do I Need to Repair, Replace, or Maintenance My Furnace? The average generator can run anywhere from 16,000 to 30,000 hours, so if your generator has exceeded this average, it might be time for a replacement. Older generators are simply not as efficient as newer models and will often struggle to keep up with household electric demands. Plus, as the system ages, the likelihood of a breakdown greatly increases. If you find yourself making frequent repair calls just to keep your system running, it might be better to invest in a new generator. Sure, the average generator will require repairs from time to time, but if it seems as though it needs to be repaired each time it’s used, it is no longer reliable. When a generator begins to wear out, typically the first issue that arises is trouble with the starter. You should be able to depend on your generator to start exactly when you need it, so if it starts inconsistently, you can no longer trust it to keep you safe when it’s needed most. If your family is growing, chances are your power usage is going to greatly increase. You will need to keep more appliances running during a power outage, and, quite quickly, your generator will become too small to keep up with your growing family’s demands. No matter which fuel type you use, a rise in fuel costs suggests that your generator has become inefficient. 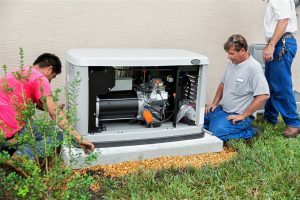 Over time, wear and tear begins to take a toll on your generator, causing a variety of mechanical issues. Once your generator has reached a certain age, it can be hard to reverse the effects of stress due to wear and tear. It is important to keep a close eye on your fuel costs. If costs have suddenly started rising, you might need a new generator. A professional electrician can determine whether or not replacing your generator is a worthwhile investment. Sometimes, the case might be that you might just need generator repair in Mountain Brook, AL, however, this isn’t always the case. Trust us, you don’t want to hang onto an unreliable generator. To schedule your generator services, contact Douglas Cooling and Heating today.